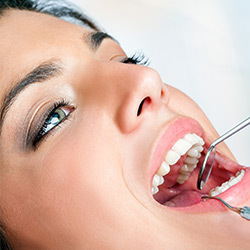 Christiana Dental Center is proud to offer the utmost quality in dental services for over 32 years. We pride ourselves on friendly service and affordable pricing for all of our patients. 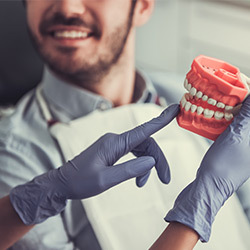 Dr. William Recktenwald offers a wide variety of services for adults ranging from cleanings and emergency dentistry to Invisalign, whitening and veneers. 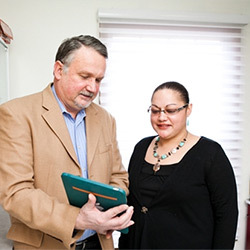 We love our patients and look forward to serving you in the greater Newark area. Please contact us and let us help you smile. In the meantime, check out what some of our patients are saying. We invite you to explore our website to learn more about our office, the services and treatments we provide, and other helpful dental information. We are a team of highly-trained and concerned professionals who are always striving to provide the best service possible. 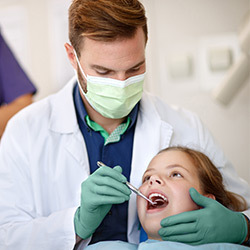 If you are looking for a skilled family dentist in Christiana, Newark, Wilmington or surrounding areas, please call us to schedule an appointment. We look forward to seeing your smile! Dr. William J. Recktenwald is a graduate of The University of Pennsylvania School of Dental Medicine where he received his Doctorate in Dental Medicine. He has three years of Naval experience and also taught at the University of Pennsylvania School of Dental Medicine. He has had a successful dental practice in Delaware County, PA since 1985, and in Delaware since 2002. Read more about our services. Oh My Stars! This office is the BEST!! I was at work in excruciating pain and it was 5:45 pm on a Friday. I called the dentist that did my X-rays and they wouldn’t talk to me because they were closed (yet the hours clearly stated 8-5pm). So I got online and searched for a dentist with weekend hours near me. I found Christiana Dental Center and was able to make an appointment for Monday morning and let me tell you, today is Tuesday and after two days with this office as a new patient, I have nothing but great things to say about the office, staff, service, and price! THE BEST THING THAT HAS HAPPENED TO ME THIS YEAR!!!!!! What would have taken me weeks or even months to accomplish, was done in just TWO DAYS, and was WAY CHEAPER than the other dentist that couldn’t get me in the office sooner. I have already made my next appointment, not sure if it’s to get my teeth together or just to see the staff, either way I can’t wait! The staff here is fantastic- everyone is friendly and knowledgeable. Dr. R himself is straightforward, honest, and does very clean work. I had a large cavity close to my gum line on a premolar, the filling is so clean and well matched, I cannot tell where my tooth ends and the filling begins. To that point, my insurance here was a breeze! Ramona sat with me, detailed all the fillings I needed, and what would and would not be covered so I was well prepared.